Google Translate has the capability to translate websites into 90 different languages in the world. It is free to use by anyone online. 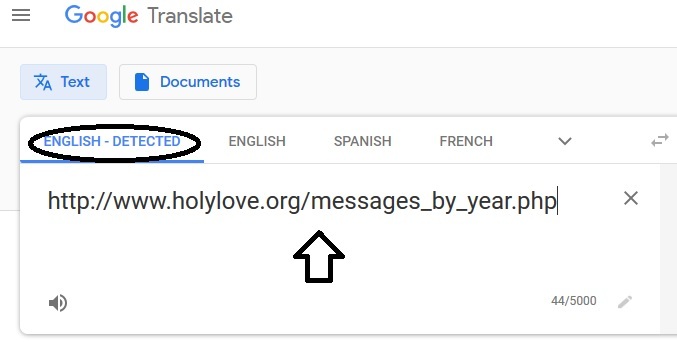 Step One – Type this internet address for Holy Love Ministry – http://www.holylove.org/messages_by_year.php into the blank rectangular box (see arrow). Make sure it is left on the default “English Detected” (see circle). Step Three – Click on the small blue box next to the website address (see arrow). 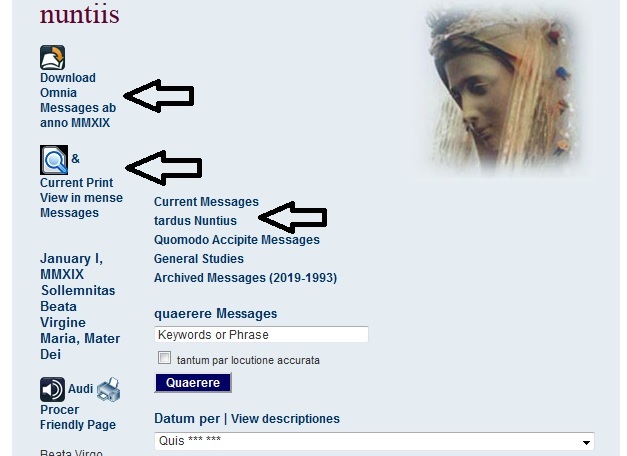 Then, Google Translate will instantly translate the website for Holy Love Ministry into your language. At the top of the screen, Google Translate may also ask you if you want to disable “safe mode.” Click to disable safe mode and this will enable you to open links on the Holy Love Ministry website, as well as copy and paste items from the website.